So we’ve already had the longest day in 2017! I can’t believe how quickly this year is moving. Our youngest son is now home from university for the summer, having completed his first year. Several of our other sons will be home for a week in July, which is going to be fun. And, of course, we have the Wimbledon tennis tournament on at the moment, which I love to watch. Lots going on this month, as usual. Cover photos to pick and have designed, books to edit and publish, and the myriad of other things to do when I publish a new book. series, Wicked Surrender, is published today! It’s Dante and Bea’s story, which I so enjoyed writing. 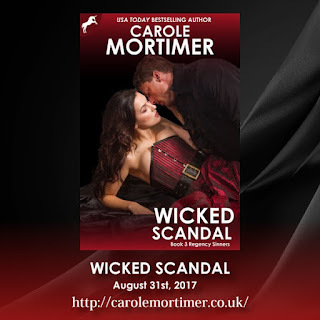 The 3rd book in the series, Wicked Scandal (Regency Sinners 3) is now also available for pre-order on all ebook retail sites. You’ll meet Devil in Wicked Surrender, and if you’re anything like me, you won’t want to miss this one! I would like to thank all of you who have already pre-ordered NATHANIEL (Dragon Hearts 1), the first book in my new contemporary paranormal series. My editor loved it, and it is now being formatted, ready for publication on July 28th. Dragons! Also, Resisting Alexandre (Knight Security 0.5), is now FREE on most ebook retail sites. So if you haven’t read it yet now’s definitely the time to download this free book! The stories in my Regency Sinners, Dragon Hearts, Regency Unlaced, Knight Security and Alpha series, are more explicit in their language and sexual content than my other books. In other words, they’re hot, so you have been warned!